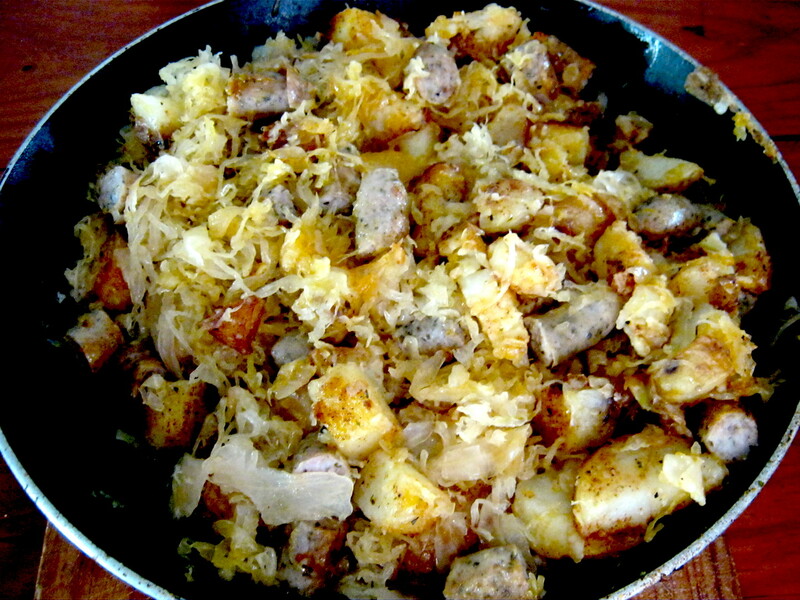 Pan fried potato bratwurst and sauerkraut is a traditional German dish that is quick and easy to prepare and rich and diverse in flavors. 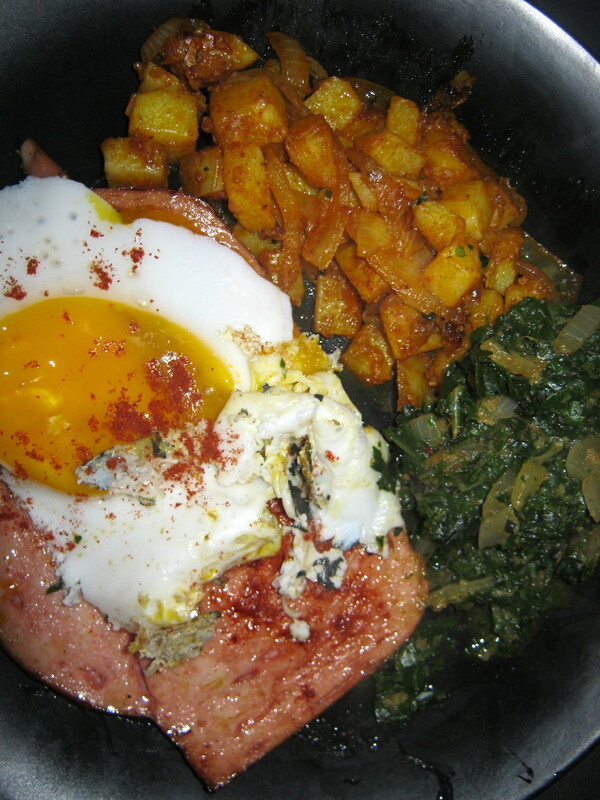 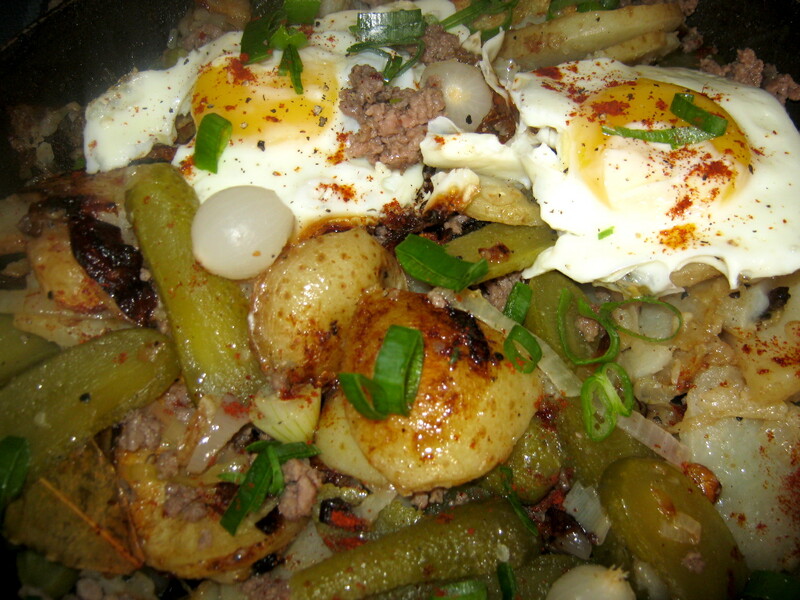 This is a dish that reminds me of my childhood as my mum often made pan fried potatoes for many different dishes. 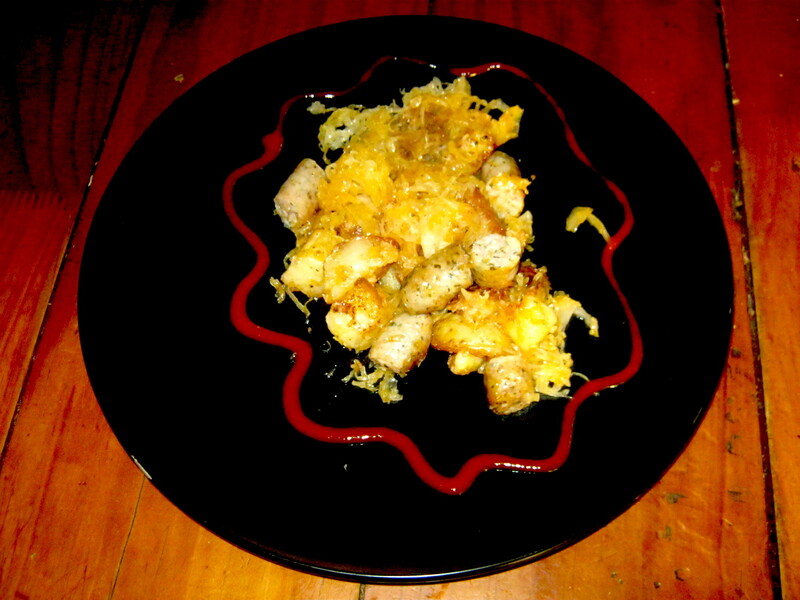 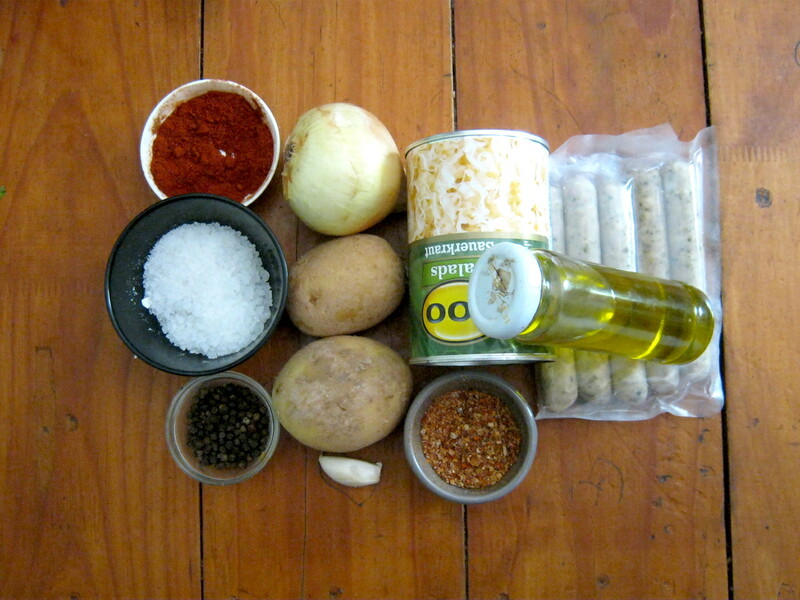 There are many different Bratwurst varieties available in Germany but for this dish I used Nürnberger Bratwürste which are thinner and shorter than most other varieties and are quickly fried.